How does Extra Ordinary Delights handle allergies? We produce all of our confections in a kitchen that handles nuts, wheat, soy, dairy, eggs, and honey. 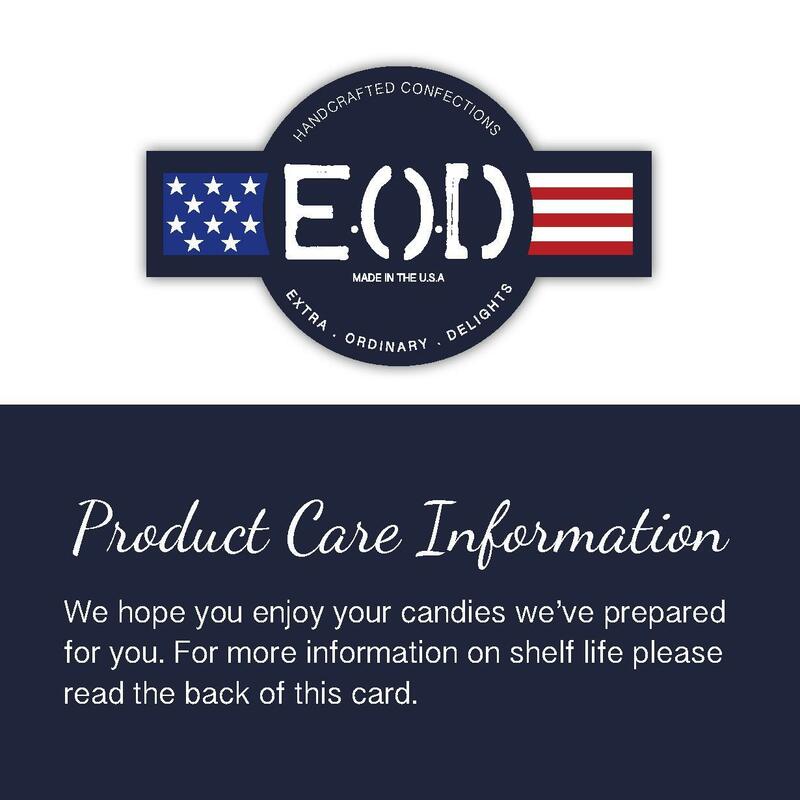 Please note that we can provide suggestions on certain treats that do not contain the above mentioned ingredients. 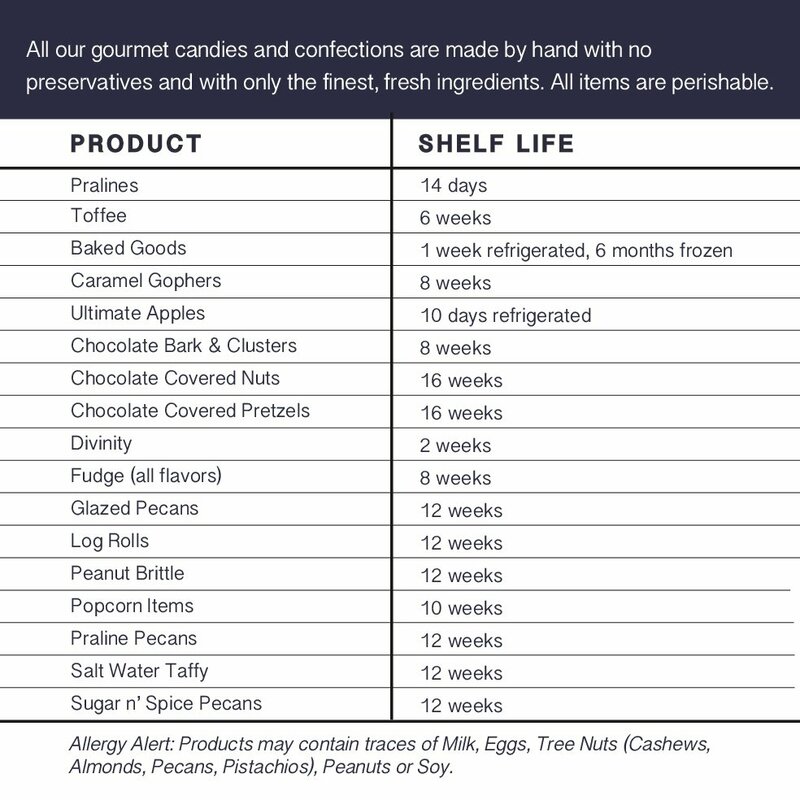 We cannot however, guarantee that any of our confections are completely free from any of the items listed above. We don't want to hurt you! Ever! So, if you have a severe or life threatening allergy, please refrain from eating Extra Ordinary Delights. Can I include a gift note on my order? How long do all of your treats last?